Lord Dubs will discuss UK policies on child refugees, the EU situation, movement across the Mediterranean, source countries (especially in the Middle East), and wider global issues. He will also consider the international response to refugee and migration flows, and what might be the responsibilities of the international community. He will look at the way the migration issue is being exploited by far-right political parties. Alf Dubs arrived in the UK in 1939 on a Kindertransport from Prague. He was educated at the London School of Economics and worked as a local government officer before entering politics, serving as MP for Battersea, 1979 to 1987. He was CEO of the Refugee Council from 1988 until 1995, entering the House of Lords in 1994 as a Labour Working Peer and becoming a Minister in the Northern Ireland Office, 1997 to 1999. 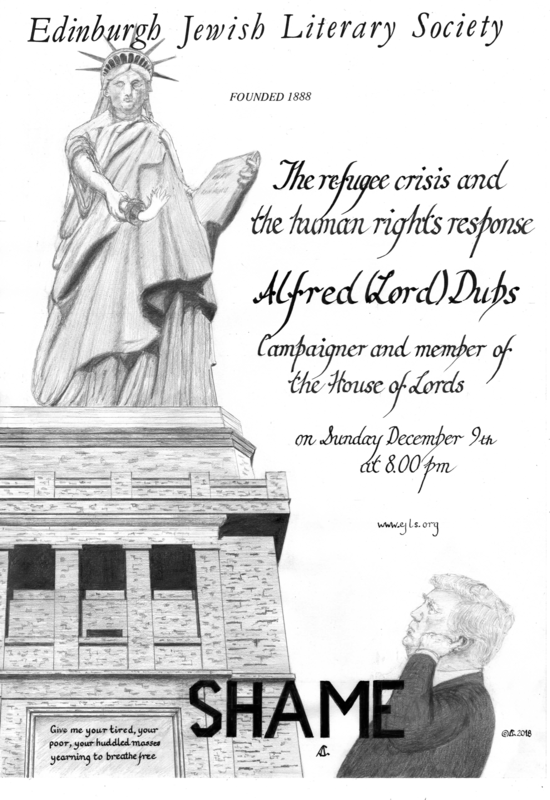 He has campaigned on behalf of unaccompanied child refugees, and still continues in this activity.